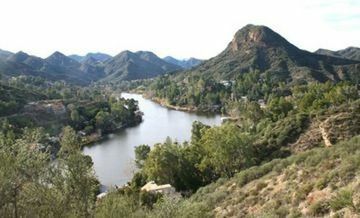 Reagan Ranch (1957-1967), now part of Malibu Creek State Park, is a delight for hikers, who can enjoy the ranch’s rolling meadowland and grand old oaks. 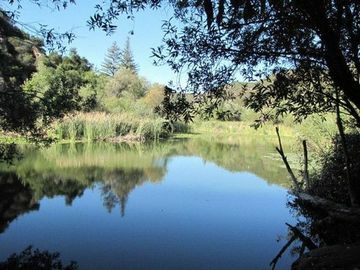 Trails loop through the Reagan Ranch and connect with the main part of the state park. 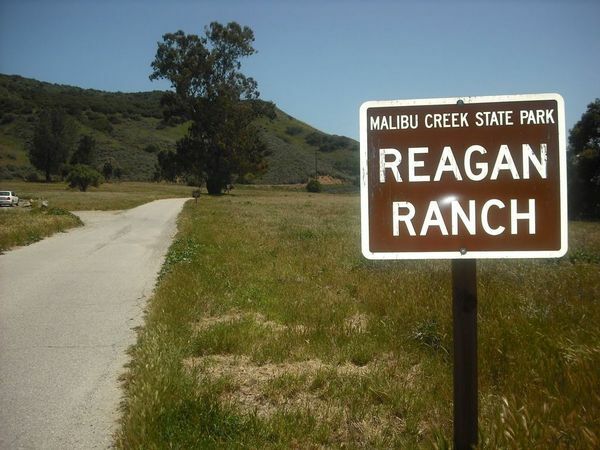 We’ll use a combination of trails–Yearling, Deer Leg, Lookout, Crags Road and Cage Canyon–to explore Reagan Country and the heart of the park. 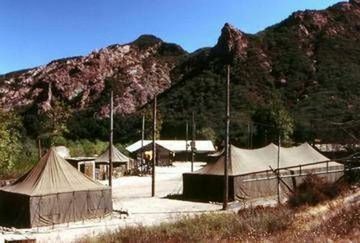 We’ll also be visiting the exterior set for the long-running television show M*A*S*H. The medic tents have been removed, but the location is still recognizable, providing a rich experience for hikers. Between the MASH set and the ranch we’ll enjoy a short snack break at Century Lake. Part of the famous jump into the river by Butch Cassidy and the Sundance Kid (Paul Newman & Robert Redford) was done by stuntmen at Century Lake (with plenty of Hollywood magic helping out) because the river in Colorado seen in the film wasn’t deep enough to support such a high jump. On our return to the ranch we’ll take a side trip to a scenic vista point at the top of Lake View Trail will It will provide us a beautiful view of Malibou Lake and the surrounding mountains. 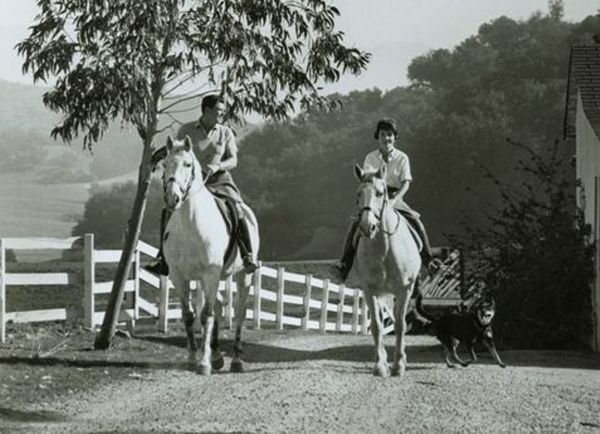 Reagan was the honorary mayor of Malibou Lake in 1953. From the Ventura Freeway (US 101) in Agoura take the Kanan Road offramp and turn south. Follow Kanan, turn left on Cornell Way, bear right onto Cornell Road for a couple miles, cross Mulholland and turn left into Reagan Ranch.